Choosing the perfect gift for anyone is difficult but, what’s even more stressful is making it look beautiful. Different events, and different recipients, often require certain wrapping paper or accessories to make them truly special. Read on to find out how to best wrap presents for all the important holidays in the year. When you have found the perfect gift to give to your loved one on Valentine’s Day, you also want to make sure that the gift looks perfect on the outside too. A clear gift bag or box can be the perfect choice to showcase the beauty of a gift and personalise it using ribbon or coloured tissue paper. For other items that require wrapping paper, paper patterned with flowers, hearts, or messages can be used and finished off with a ribbon to make them look truly special. Transpack has a fantastic selection of Valentine’s Day wrapping supplies so take a look and see what sparks your imagination! Whichever way you choose to appreciate your mother on Mother’s Day, a gift is certainly a great start to show how much you value her! Mother’s Day is the perfect occasion to go all out when choosing your gift wrap- and adding a handmade touch is sure to make your gift seem that little bit more special. 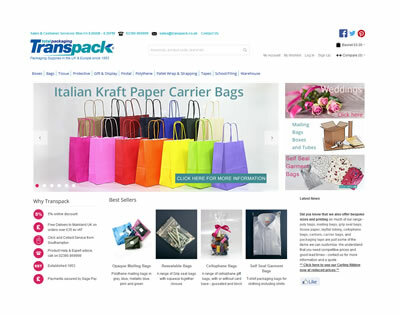 The high-class selection of coloured tissue paper and ribbons offered by Transpack is the perfect way to make any present exude class and sophistication, or share a fun and cheery exterior to match the exciting present inside. Christmas is the biggest holiday of the year with regards to present buying and wrapping, and as the holiday approaches, the panic of having to wrap presents does too. From cellophane bags to tissue paper and ribbons to decorative rosettes and festive tags, there are many different styles and designs that you can embrace to make your perfect gifts stand out from the rest under the tree. At Christmas, it’s also common for employers to give their staff presents or hampers to thank them for being part of their company and wish them a Merry Christmas. Make this even easier by using hamper trays and packaging to display the selection of gifts you’re planning to give. Find all of these supplies and more at Transpack and stock up to make your Christmas wrapping a breeze! Events such as birthdays, anniversaries and weddings are incredibly personal events so therefore require a little more thought and consideration for those who really want to make their gift perfect for the intended recipient. Using their favourite colours is often a great first step for birthdays! For weddings and anniversaries, white with accents of gold or silver is often a common choice due to colour coordination but you could use any colour to fit the personalities of the couple you’re giving the present to.